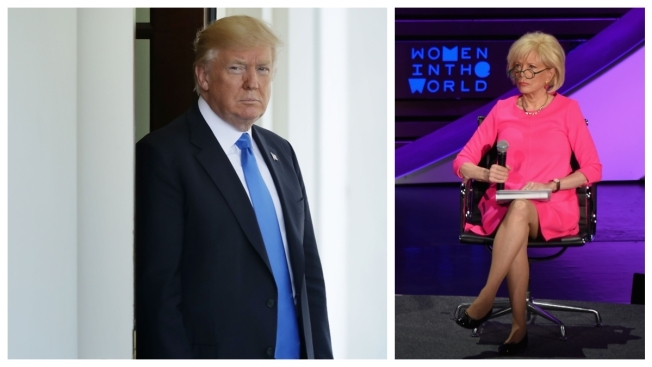 "60 Minutes" correspondent Lesley Stahl said that President Trump made a revealing admission to her while campaigning in 2016, that his continuous attacks against the press, which he derides as "fake news," are intended to "discredit" journalists so the general public wouldn't believe negative stories written about him, according to CBS News. Stahl made the revelation while speaking to a group of journalists at the Deadline Club Awards Dinner in New York City this week. She said the admission came during an informal off-camera sit-down in July 2016 as she pressed Trump to explain his non-stop barrage aimed at journalists. "I said, 'You know, that is getting tired. Why are you doing this? You're doing it over and over. It's boring and it's time to end that,'" she told the assembled journalists. "He said, 'You know why I do it? I do it to discredit you all and demean you all so when you write negative stories about me, no one will believe you.' He said that," Stahl told the audience, adding, "So, put that in your head for a minute." Stahl continued, "That's always going to be a tug-and-pull for him, and I felt him grappling with it right there and then with me in the room," she said. "And he wants to blame the press for everything… believe me, he showed no combativeness, no bitterness toward anybody but the media." A request for response from the White House was not returned.